This WSI file will create a Wrapper and install Star Wars Racer Episode 1 into that Wrapper. The GOG version is tested and DRM free. So this version is advised to use (not the Steam version). When you don't own the Windows game yet, then use the links here to go to the GOG.com game page where you can purchase this Windows game. Then download the setup file from your GOG.com library into your download folder and click “Install” to create the game Wrapper. For questions and help check the Help/FAQ tab in the Porting Kit. - Ingame clips/intros has no sound. 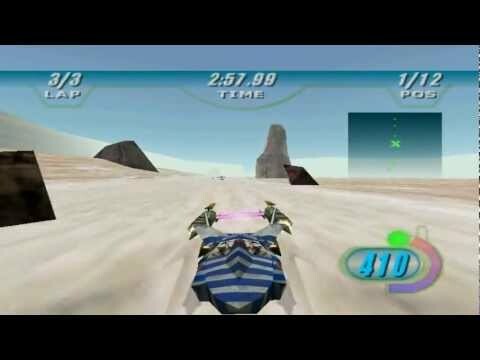 The game/races itself plays the sounds/music fine. - Resolution is 640x480. Have no clue yet how to “hack/patch” the resolution to widescreen yet. When discovered, the game page will be adjusted, or port will be updated.